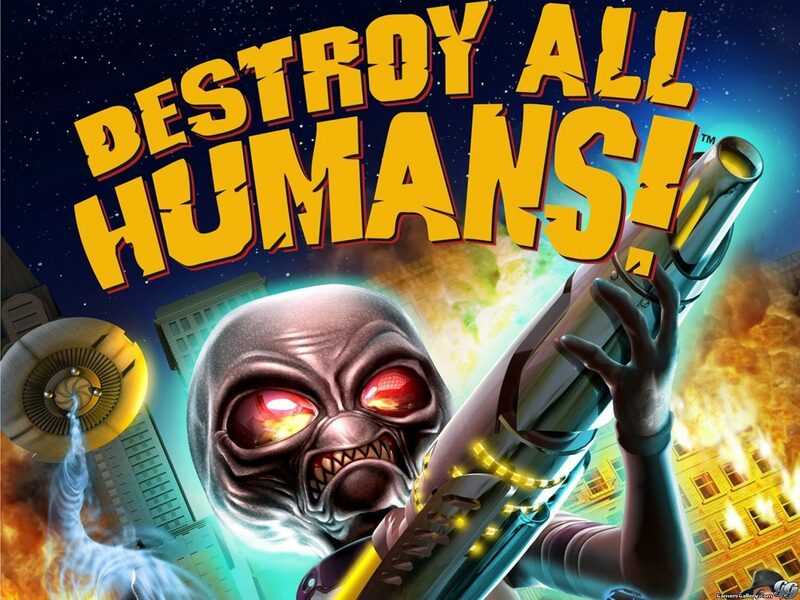 The PlayStation 4 release of Destroy All Humans! now has a full trophy list courtesy of PSN Profiles. There are thirty-eight trophies total, with a platinum, three gold, fifteen silver, and nineteen bronze trophies. In order to obtain the three gold trophies players will have to collect all probes, complete the final mission, and achieve 100% completion in the game. The rest of the trophies require you to complete specific missions, fully upgrade various items, and perform “x” of a certain action such as tipping cows. You can read the full trophy list below. Ruler of Earth: Unlock all other trophies. Probe-ation Officer: Collect all Probes. Alien Overlord: Achieve 100% completion. Trail of Wreckage: Destroy 500 vehicles. There’s the Beef: Tip 100 cows. Terror From Beyond the Stars! : Kill a total of 1,000 humans. Term Limited: Assassinate 50 politicians. Sun, Surf & Probes: Collect all Probes in Santa Modesta. 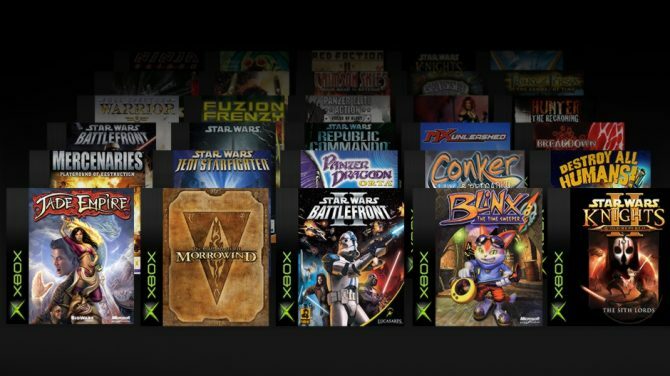 Saturday Evening Probe: Collect all Probes in Rockwell. Probes With a Capitol P: Collect all Probes in Capitol City. 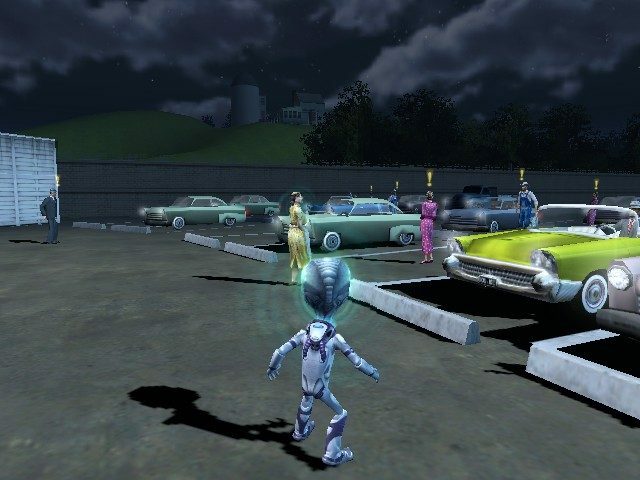 Probe Town, USA: Collect all Probes in Union Town. Identity Thief: Assume 40 identities. Gray Matters: Collect a total of 50,000 DNA without using the Mmm… Brains! Cheat. Food for Thought: Extract 250 brains from living humans. Down-Home Country Probing: Collect all Probes in Turnipseed Farm. Alien Conqueror vs. Robot Soldier! : Destroy 50 robots. A Conspiracy of Probes: Collect all Probes in Area-42. The Tyrant of Turnipseed: Complete all side missions in Turnipseed Farm. Rocked Well: Complete all side missions in Rockwell. Ride the Lightning: Fully upgrade the Zap-O-Matic. Power Trip: Complete a side mission with the Bulletproof Crypto code enabled. Now You Learn to Love the Bomb: Fully upgrade the saucer’s Quantum Deconstructor. Modestly Successful: Complete all side missions in Santa Modesta. Mind Over Matter: Fully upgrade Psychokinesis. Mind Over Antimatter: Fully upgrade the saucer’s Sonic Boom. Kicking Government In the Seat: Complete all side missions in Capitol City. Earth-Shattering Kaboom: Fully upgrade the Ion Detonator. Dust in the Wind: Fully upgrade the Disintegrator Ray. Danger: Death Ray: Fully upgrade the saucer’s Death Ray. 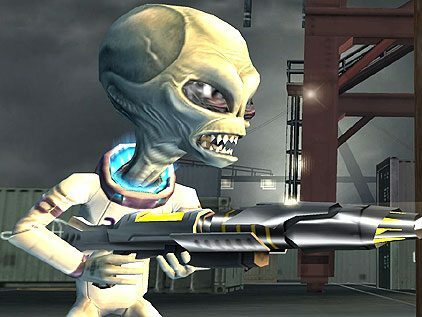 Area 86ed: Complete all side missions in Area 42. A Much Less Perfect Union: Complete all side missions in Union Town.